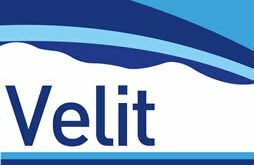 Velit and InSeis are robust and advanced depth conversion and seismic inversion suites for the oil and gas industry. We are a highly experienced, independent software company specialising in depth conversion and seismic inversion software. Our ethos focuses on forging strong working relationships with our clients, to enable a process of feedback and continuous development of our software toolsets. 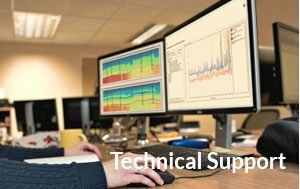 We have a strong commitment to provide the highest levels of support and customer care, and utilise web screen sharing technology to demonstrate, educate and guide you through the scientific and technical aspects of our packages. Based in London, Equipoise Software are closely linked with ERCe giving us unrivalled access to expertise and global project experience. 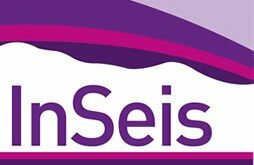 We also have very strong ties with IHS Markit who retail our products as VelPAK and Kingdom Seismic Inversion on the Kingdom platform and as Velit and InSeis on the Petrel platform. We thrive in an environment whereby we can work together with you as partners, to solve geophysical problems associated with depth conversion and seismic inversion, and develop new technology as a result. While evaluating our toolsets, we welcome the challenges associated with continuous innovation and build trust by routinely delivering on what we have promised. We invest in the personal development of our staff to maximise their full potential, with this focused on the relationship we will build with you, rather than just the sale of our products. Our design philosophy is geared toward developing software which is both reliable and sophisticated, easy to use and applicable to every level of user experience. This is achieved by the development of software Wizards that guide you through various workflows, resulting in improved operational efficiency of your tasks. One of the key elements of our packages is the adoption of a ‘No Black Box’ approach, which enables you to examine, adapt and add to the methods, according to your requirements.